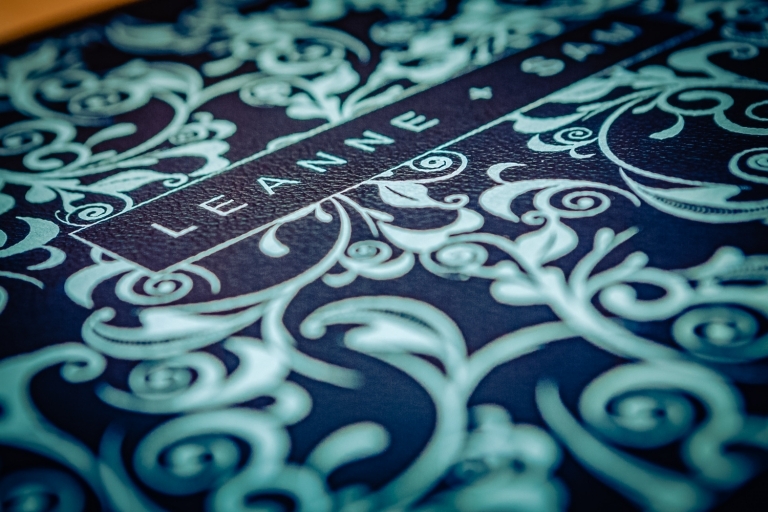 I have a new album design to share with you lovely people today – this time around featuring Leanne & Sam’s fabulous day at one of my local venues, The Parsonage, back in August last year. For their album, the guys went for the very stylish “Young Book” from my lab, Graphistudio. The album itself featured the popular “crystal glance” cover with a black leather binding. 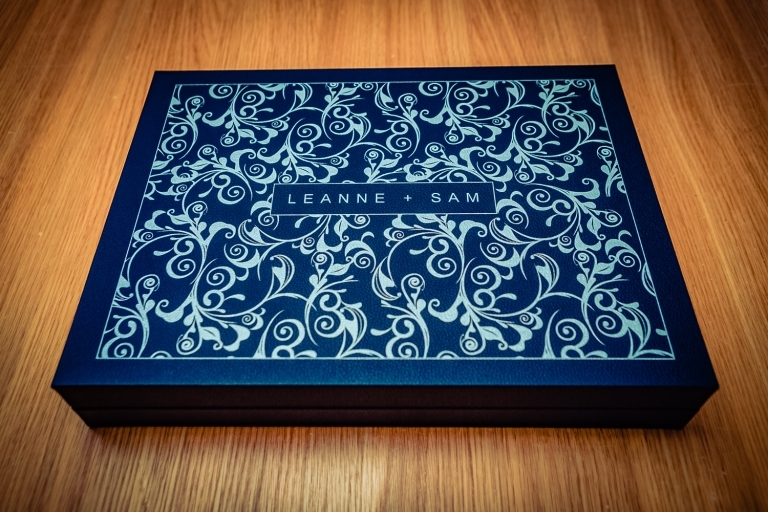 The box, also in black leather, was highlighted in my own scroll design in raised and varnished light grey to complement the album cover image. 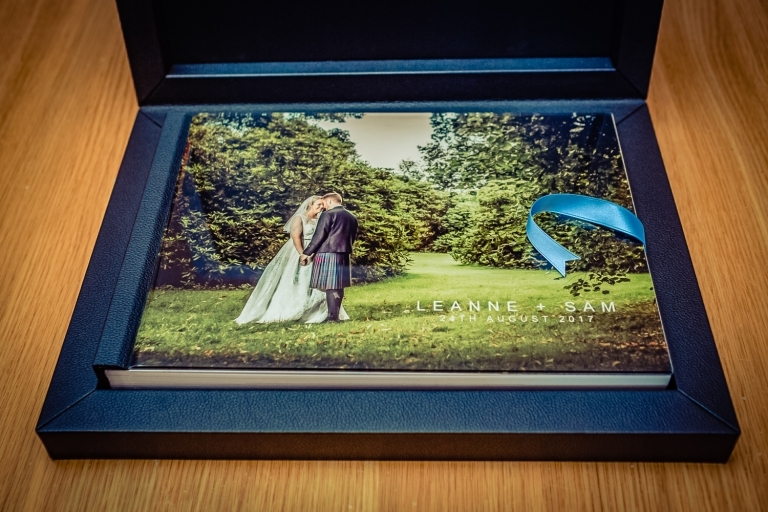 “We have just received our wedding album today, and I have tears in my eyes! Mike photographed our wedding in August 2017, we booked after seeing other reviews on Facebook and an informal meeting at his studio. Mike is an absolute dream. From start to finish, the communication has been faultless. We had a small wedding, but Mike still managed to be slick and at times went unnoticed (in a good way!!!). We decided against a videographer and I had doubts whether a photographer could capture the day without one, and I’m happy to say that his photos tell a story, flow very naturally, and I couldn’t be happier with them. We would not hesitate to recommend. Thank you so much Mike, and we both wish you the very best for the future.